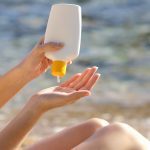 How To Apply Sunscreens- Sunscreens makes your skin resistant to sun radiations and prevent the skin from being damaged. These sunscreen lotions or gels helps you to protect yourself from aging of skin, wrinkles and skin cancer. 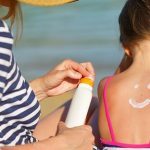 But the most important factor in this context is,” How to apply the sunscreens?” It is the most important factor to save yourself from skin damage. So, here we will let you know the tips to apply sunscreen effectively. The myth regarding applying the sunscreens during summer and sunny days only, should be avoided. There are UV radiations coming out of sun on shady days also which is enough to cause skin cancer or other skin diseases. The key factors are to choose the best sunscreen and apply it correctly. It is the first and foremost important step to get a best sunscreen for your skin. You should check various variables included in a best sunscreen while choosing it. Avoid the use of low quality sunscreen because it can harm your skin badly. 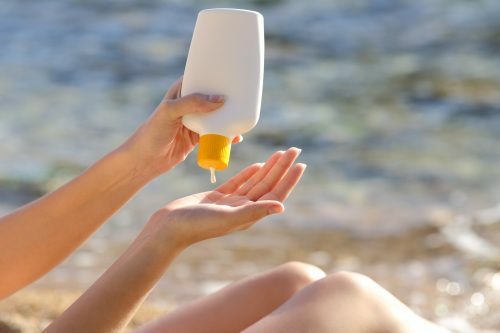 There are some factors you should consider while choosing a best sunscreen for you. Always go for a broad spectrum sunscreen.A broad spectrum sunscreen saves your skin from both UVA (long wave ultraviolet) and UVB (short wave ultraviolet) . Choose a sunscreen containing SPF30 (sun protection factor) . Sunscreen containing SPF30 protects your screen from being damaged. Those sunscreens which have SPF30, are the best. Look for the expiry date being mentioned there on the label. Don’t pick up the wrong one. Check whether the sunscreen is waterproof or not. Waterproofing effect should be checked while it really works or not. Don’t compromise with the cost when it is linked to your skin. To save money, don’t just pick any random sunscreen lotion which can be allergic to your skin. Check the label while choosing your sunscreen what elements or constituents it contain. Composition of the different material used should be checked. You should check whether there is any element to which you are allergic to. It is not necessary that expensive is always better. Sometime you can be cheated by charging you more. Choose your sunscreen which best suits your skin type. There are different sunscreen types for different skin type e.g.,oily, dry. After choosing the best sunscreen for you, the next step is how to use sunscreen on face. It is the most crucial step to get the best results out of those sunscreens and can get the maximum benefit out of them. Sunscreens can give you the benefits only if you apply them correctly. You can apply sunscreens in following steps. Check the label first before applying the sunscreen. Labeling contains a lot of information about the product. You will be able to examine the expiry date as well as the information regarding the composition of the elements being used. It is highly important to check all the information before hand as to protect yourself from being cheated or protect from the side effects. This information will let you protect yourself from allergy and other harmful effects. You should apply the sunscreen before going out. You should not avoid to apply it on shady days. Because even if there is a shady day, sun radiates harmful radiations. So it is necessary to apply the sunscreen before going out in the sun. It will protect you from the sun burn. Next step to apply the sunscreen is how much quantity is to be applied. Quantity will also decide the results. You should take a good amount of sunscreen proportion to apply on your skin, otherwise it will not save you from the sunburn and skin damage. 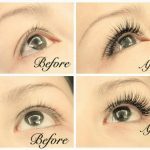 Its quantity should be more enough to cover the skin properly. Face is the most sensitive area to be affected by the UV radiations. In maximum cases, it is the face area from where skin cancer occurs. So apply the sunscreen properly on your face in equal and good quantity. After the face is being covered by sunscreen, next step would be to apply the sunscreen on to the whole of the body. Apply the sunscreen to all those areas which are open to the sun or you should apply to the whole body. Keep applying it gently until the white spots disappears. Next step would be to decide the time intervals on which you will apply the sunscreen consecutively. According to dermatologist, you should apply the sunscreen after every 20-25 minutes. But otherwise you can apply it on the intervals of 2-3 hours. Sunscreens can help you better be safe from skin cancer and damage. The only effort need on your part is to apply it as prescribed. You should apply it in right quantity, and should check expiry as well as ingredients details. If you want to protect your skin better, take in to use these steps while applying sunscreens.